Surviving the wet and chilly Tokyo Marathon 2019 | JustRunLah! I love running in cold weather as the air is cooler and denser, so my heart beat can stay in the lower zone longer and I can perform better. However, the sub10 temperature was a bit too cold for me especially when it got windy. 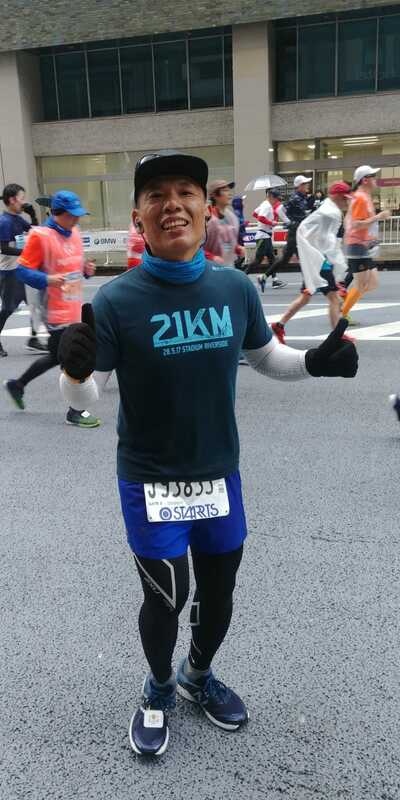 With the experience Tokyo Marathon 2018, I was more prepared for this race. 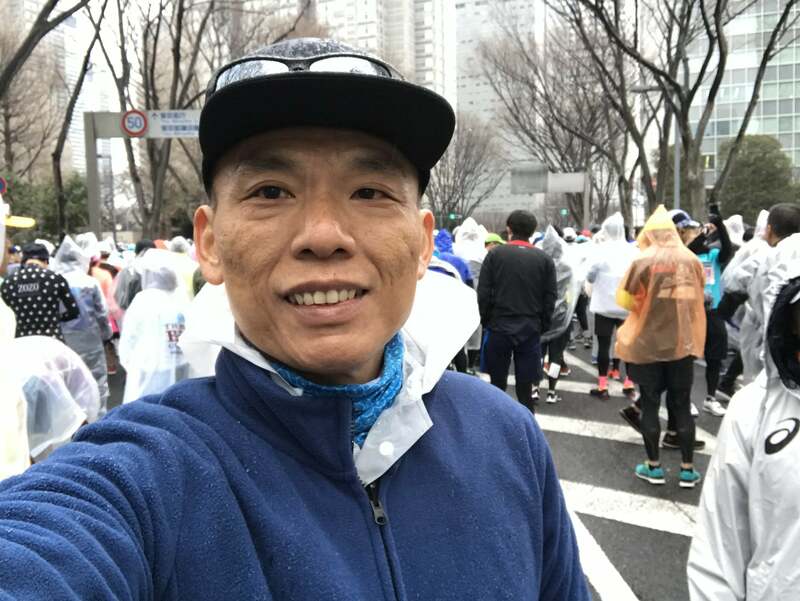 I would like to share some pointers and experience in handling the cold, hopefully, fellow runners taking part in future Tokyo Marathon for the first time will find it useful. For more information, do check out my review for the 2018 race as the route is similar. The worst part is not during the run because your body will get warm, and the faster you run, the warmer you get. But if you are not able to sustain and start walking, you will feel the cold, especially if it is windy. Having compression tights and long sleeve tops as a base layer was very helpful. This year was worst because it rained before the race started and never stop. So we already got ourselves slightly wet while we were walking from Shinjuku Station to the “Start Area”, as the route was unsheltered, so do prepare a raincoat or poncho. I learned from last year race that many runners had a raincoat on, not sure if they prepared for the rain or use as a windbreaker. Once I got past the security check, I stayed under the bridge to keep myself dry and did some warm-up, while waiting for time to get by. Do not want to go to the pen earlier as it was still raining. The challenge was during the wait for flag off. All runners were to get into the pen by 08:45 and the flag off is 09:10. Depending on which pen you were in, it was 09:28 when I got to the start line (I was in pen J). 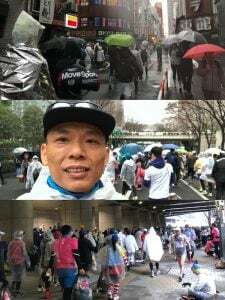 During that wait, I noticed many runners shivering as they were obviously underdressed, most had already changed to their fancy running gears a fter the bag deposit. 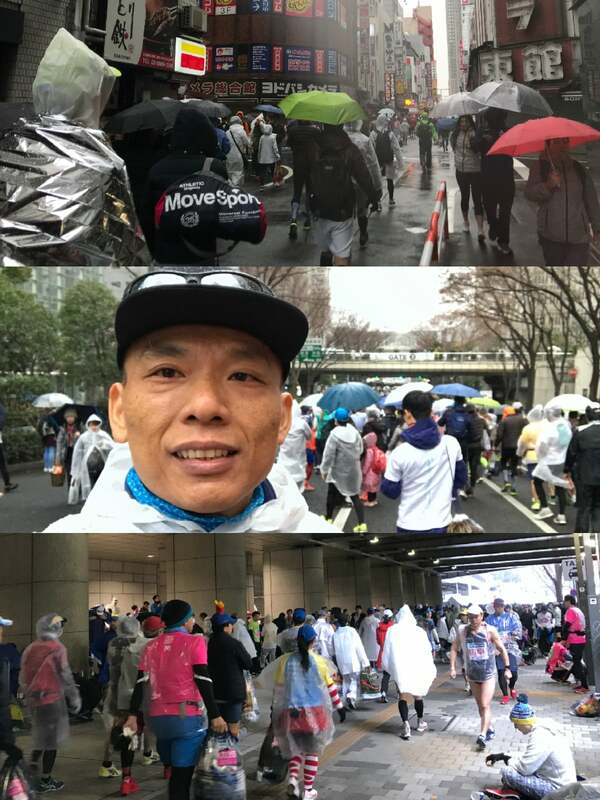 Knowing that there were bins to collect used jackets right before the start line, I kept the blue jacket they had provided in last year race (just in case I am lucky enough to participate in this race), and it was indeed helpful. I had the jacket on till got to the start line and drop to their collection bins. This year, they gave the same blue jacket again, and I am keeping it for next year’s race. At some parts of the race, the rain got a bit heavier and luckily I had my cap and sunglasses with me which protected my eyes against the rain and chilly wind. The other accessories to have were the neck scarf and gloves (with heat pads). But the main problem was running into puddle of water and got the shoes wet. It was very uncomfortable at first, but after a while, I felt better. I believed the anti-blister socks did work well to keep my feet dry. And at the end of the race, I did not develop any blister (which I will have for every race), so I am very glad to invest in these anti-blister socks. 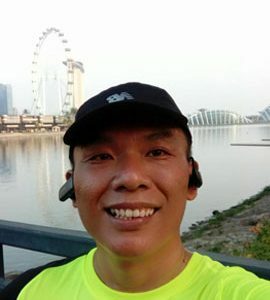 After 29km, my right tight started to hurt, and I lost my determination. I chose not to stress my tight too much and better to complete the race. So I started walking till my tight got better then start running. On and off, and finally I reach the 40km mark, and decided to give all out and ran to the finish line. Along the final stretch, supporters lined on both sides cheering. Although it was not for me, I was pressurised not to stop. Thanks for them, I managed to finish sub5. Thank you to all volunteers, performers and supports that stayed in the cold and wet weather to support us the race. 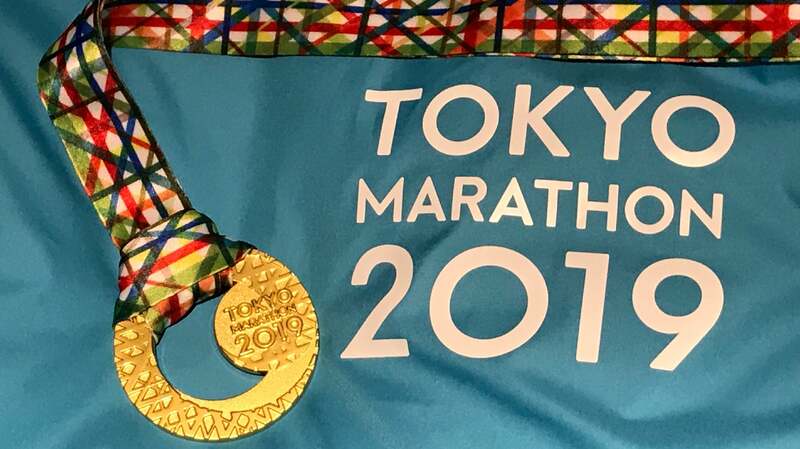 Without them, we would not have enjoyed our race, another great experience in Tokyo. After the race, its time to reward ourselves, yippy !! We went for an Onsen retreat and had sumptuous Kaiseki dinner. 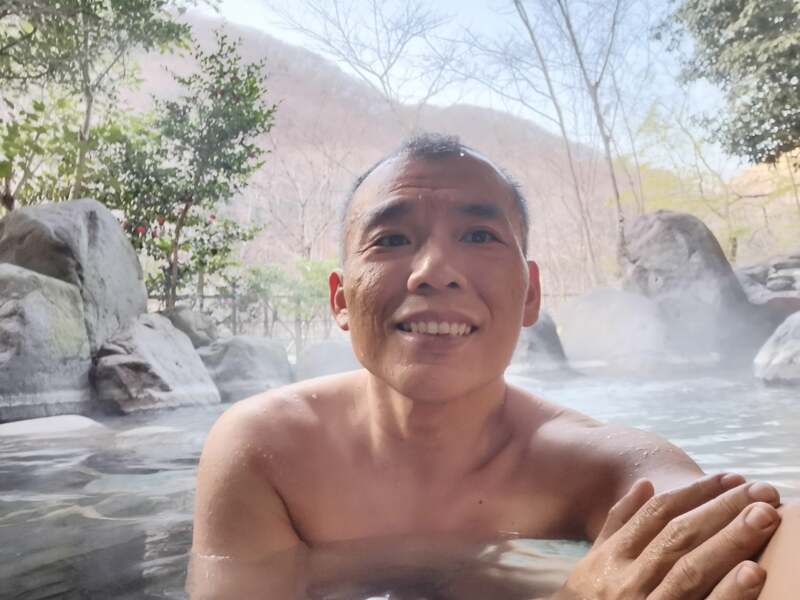 The Onsen helped to got rid of the sore and pain, and I could enjoy the rest of the RUN-cation. 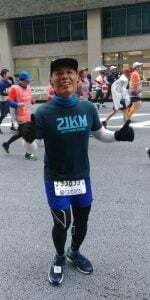 I hope I can be back in 2020 and achieve a better PB. Meanwhile, I have 1 year to trim down my weight to reduce the loading on my knees. Lastly, Good Luck to all for successful balloting for the 2020 race. Click here for more post from WeeKee.